This week it’s a very special Food Waste Friday. It’s Halloweek Guys. I heard that term earlier in the week and I love love love it! No scary fridge photo today – it’s looking fine and dandy. I’m going to pop it across on Facebook instead of in this post. Had a really good (zero waste) week. And as I wish that to continue, I have a No Waste Tastes Great plan for a little bit of pumpkin we have leftover from carving our Jack’O’Lantern. 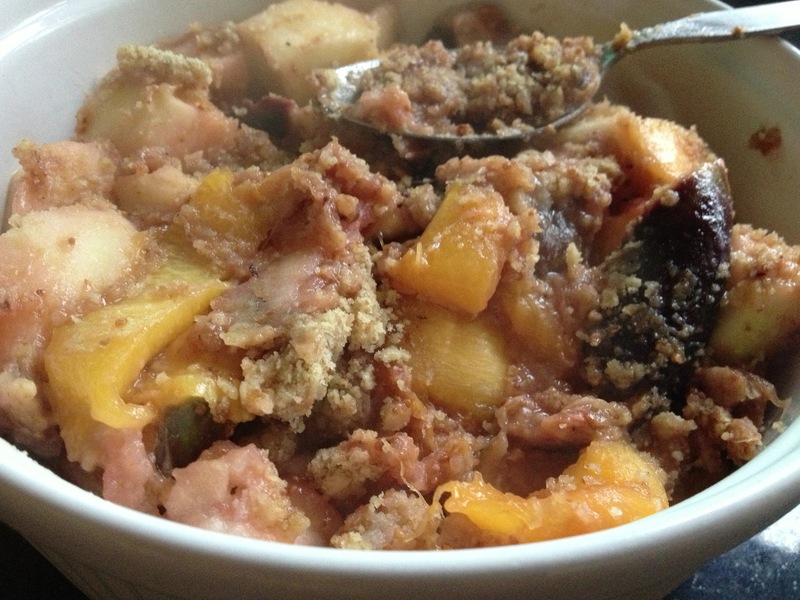 As I said last Friday you can’t go wrong with crumble. 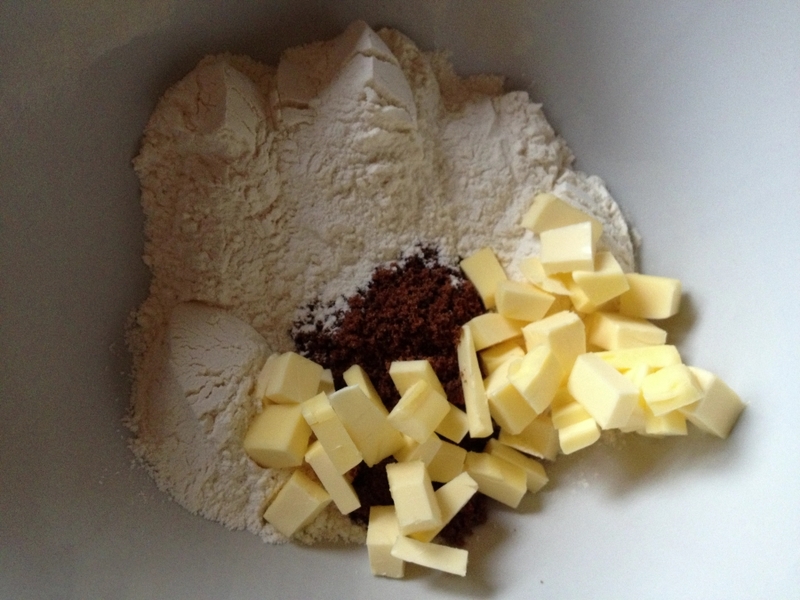 Place the 100g of sugar, butter and 200g of flour wth the grated cheese in a large bowl and gently work into a crumble. 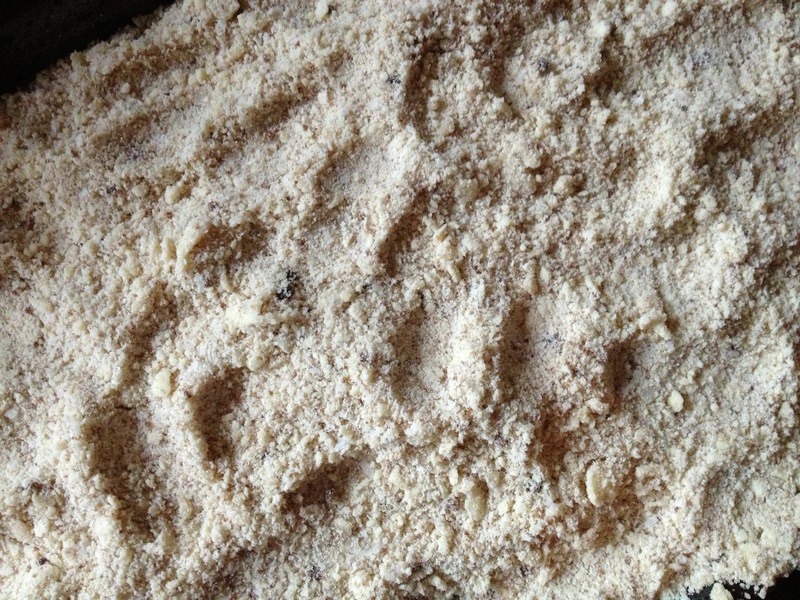 Spread crumble out on a baking tray and bake for 15 mins. While baking prep the apple, fig and pumpkin. In a large pan heat approx. 25g of butter and 25g of sugar. Add the apple fig and pumpkin and soften on a low-medium heat for 10 mins. As it softens you can reduce the size of the pieces if needed – they should be bite size but still chunky. 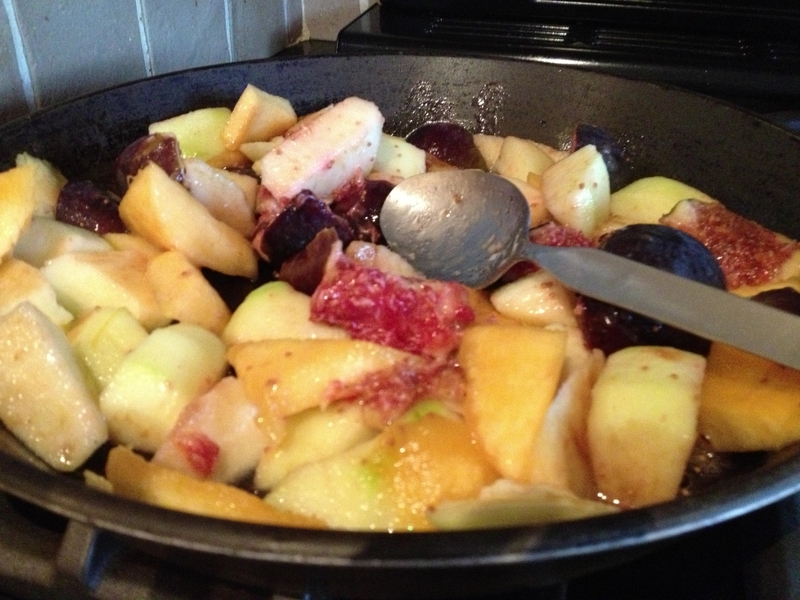 Once softened, remove the crumble from the oven and mix in 50% of it with the fruit. keep the remaining 50% for the top. You’re allowed to make a mess! 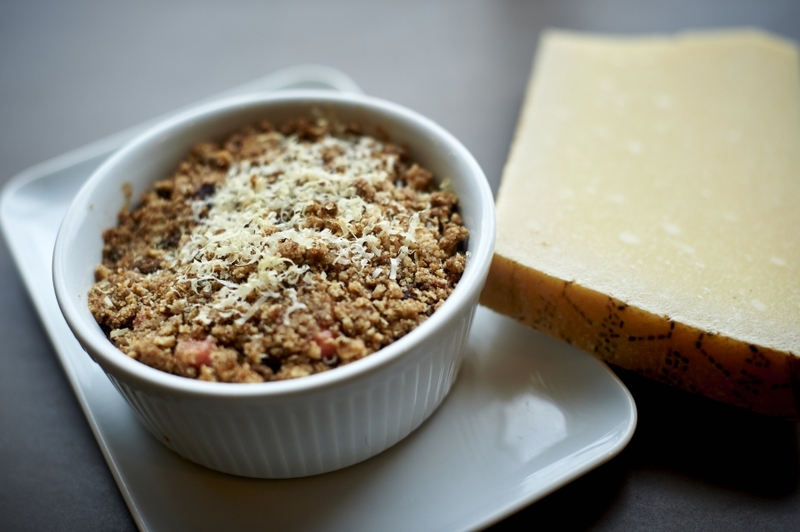 Either bake the crumble straight away and serve, or you can put to one side to bake later. 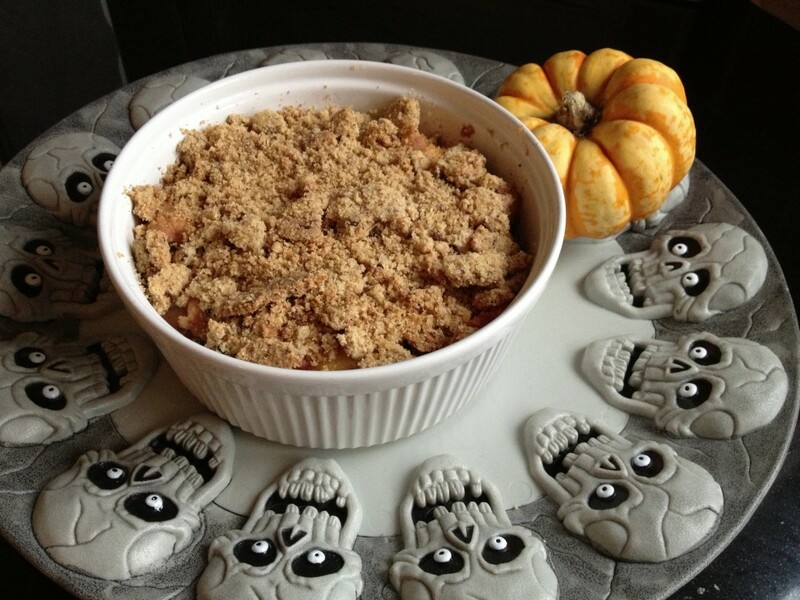 Mine will be be baked tomorrow (20-25 minutes from chilled in a moderate oven) as part of our Halloween celebrations. I’ll share a photo over on Instagram when served with custard. What tips do you have for using up pumpkin this Halloween? Please do share in the comments below. And don’t forget it’s Food Waste Friday! Do you have any waste to confess or saves to celebrate? 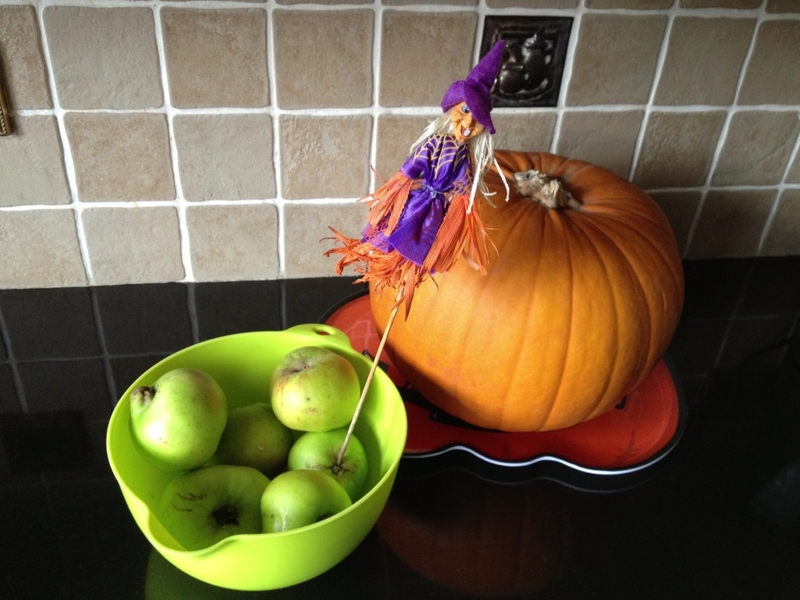 Please do leave a comment and link if you have blogged this #FoodWasteFriday. As always thank you to Kristen, The Frugal Girl, and the original inspiration behind Food Waste Friday. Next post: Would You Like To Guest Post?